Real Mermaid Heidi and her Two Little Mermaids. Read about her inspiring story. Heidi and two little Mermaids from Georgia are inspirations to us all. We hope you enjoy getting to know a strong real Mermaid! My name is Heidi Whitted. I am from Commerce,Georgia. I have lived in Georgia since I was four. Before this my family lived in Michigan, New York, and Florida as well. I was born in Newburgh, New York. My love for Mermaids started with our many visits to Weechi Wacki in Florida as a child. I have brother and a twin sister. What are your days filled with? The Mermaid Community is full of people who have the same magic in them as me and my children do. I love that I can feel like myself. My girls have fallen in love with the community too! What I have endured is understood more than shunned, and for that, I am so thankful for the support of my magical friends! I also I run an online boutique specializing in mythical attire called , “The Double Knot” You can find me on Facebook! Why did you start a boutique? I started the boutique after finding out I was having twin girls. I loved all the cute outfits online and hair bows but, buying two of everything elsewhere became pricy. I found making the items stayed within a budget that I could work with. I could make anything my mind envisioned rather than what someone else created. When the girls were six months I started watching YouTube for making hair-bow and learned from my mother, how to work a sewing machine. It started with a dream and a lot of dedication. One step at a time! Over the course of these last few years, I have made many items from regular boutique clothes to body scrubs and hair accessories. The creative ideas I had started to come to light, and eventually regular outfits became fairy costumes and Mermaid tails and bras. My clothing and costumes have been used in many photo shoots locally. Since 2011 I have ran the page, and I get a lot of positive feedback from it. One day I hope to reach more people and continue to use my creative mind and talents to make the Mermaid dream real for others on a budget. 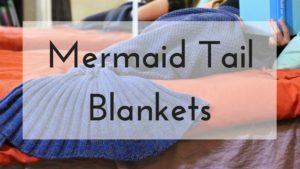 My tails are priced lower than some online to insure that those who may not be able to afford a expensive tail can still have their dream of being a Mermaid come true! Mermaids have been my most favorite, and I make all the tails that are featured on my page. I rent them out for parties and photo shoots or sell, it is so much fun! When I am not chasing around three amazing children, as a divorced mom, I am working for Marriott or running the Facebook page. I am writing my book and trying to be the best mom I can be. I love spending time with my family and friends. Without them and their support I would not be where I am. I am a busy Mermaid mom and wouldn’t have it any other way! Growing up swimming in the ocean and pools. When you have the magic in you the love of the water never leaves you, even if you have to leave the water. It’s inside of each of us. Why do you love Mermaid? Mermaids are magical. They are beautiful inside and out. They are intelligent! They are dedicated, and everything I want to teach my girls to be. Mermaids don’t give up and stop swimming. They keep going even in rough waters!!! I want all three of my children to know to keep pushing forward…No matter what! I went thru what I thought would have killed me, only to come out stronger. I have a purpose for my pains and I believe the Mermaid magic has truly inspired me to keep going. I want that for them and I see this strength in the life of Mermaids and the culture that surrounds it. My girls will be strong women one day!!! Each Mermaid has a story of strength, diversity, and each person comes together in the Mermaid community and supports each other with the magic we each share. It’s incredible. I am so thankful for the Mermaid Community and all the friends I have made in it during such a horrible part of my life. Me and my girls have been using tails for about two years. I make all of our tails and Mermaid accessories. To support a small Mermaid business. Please check out my Facebook page. What mermaid gatherings have you been to or wish to go to? 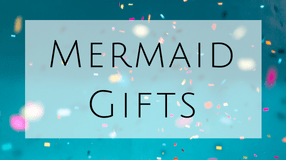 What are you favorite Mermaid themed item or clothing? Any tips and tricks for fellow Mermaids?